Even MORE To Be Read – December 2015 & January 2016. | Almost Amazing Grace. Even MORE To Be Read – December 2015 & January 2016. I'm totally new to the amazing incredible perfect thing that is book mail – I've been getting the most exciting parcels lately from Orion, Gollancz and some from my book blogger pals! 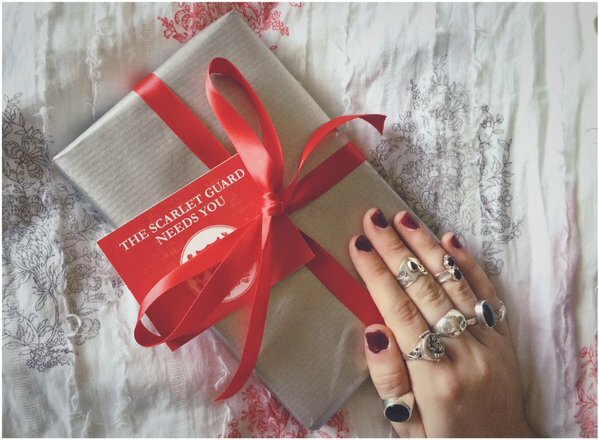 My Book Blogger Secret Santa (#UKBBSS arranged by the amazing Faye) parcel is the most intriguing and exciting sight sat impatiently beneath my Christmas tree – it's purple and shiny! Oh, my. Last week I was away from home for a few days, and when I was on my train back my mum texted to say 'you have a RIDICULOUS amount of parcels here for you!' That definitely got me extra psyched to come home. Spinning Thorns, by Anna Sheehan. Sleeping Beauty has woken, all is right with the world and the happily ever afters are well under way...or are they? The wicked stabbing thorns surrounding the castle are still there, and the kingdom is divided. Those who boast magical powers and those who have been harshly subjected to them are caught up in a raging feud. Sleeping Beauty's daughter must right all the wrongs in a rebellion. This excites me. I did a whole module at uni on fairy tales and the various ways in which they are told. I even submitted a twisted fairy tale of my own and received a First for it. I love dystopian fiction as well, and this novel seems to have some of that mixed in! How thrilling. Cannot wait to get started! 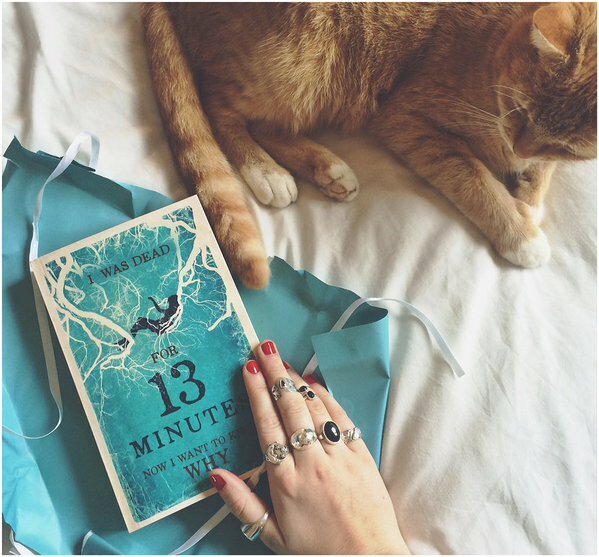 13 Minutes, by Sarah Pinborough. Natasha was dead for 13 minutes. She was drowning in icy waters and has no idea how she got there. An accident? An attempt on her life? She must find out, ASAP. This story has features some PLL -style twists and turns, plus some seriously toxic friendships...it's a delicious YA mystery! I am actually currently reading this one – I pushed a few potential reads back in favour of this, I just couldn't wait! The writing style is perfection; I've had a few exchanges with Sarah on Twitter and I already adore her. 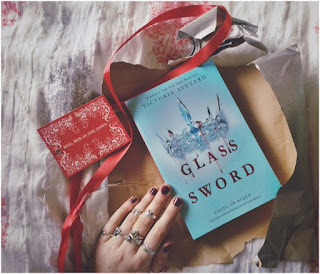 Glass Sword, by Victoria Aveyard. In case you didn't read Red Queen, a) you missed out massively and must rectify this error immediately, and b) let me fill you in...this world is fraught with disarray; power lies within those who bleed silver blood, while those who bleed filthy red are deemed lowly and powerless. The Reds are peasants in cities who work hard for the Silvers, and they are often sent off to battle and never return. Oh, and Silvers also have special powers. Mare Barrow is different. Her blood is red but she possesses Silver abilities, she controls lightning. Thus the royal court are determined to control her, or get rid of her. Next on the list is not so much a TBR...more a TBC. A To Be Coloured! As I mentioned in a previous post, I freakin' love Colour Me Mindful, the series by gorgeous artist Anastasia Catris, published by the eternally lovely folks at Orion. I have the Butterfly edition, and have bought several of the others for friends this Christmas. So imagine my delight when I received Colour Me Mindful: Seasons, the latest release which includes beautiful illustrations of holidays and all things seasonal! There are bunnies and eggs; suns and cocktails; scarecrows and pumpkins; snowflakes and snowmen! Such happiness on every page! I can't wait to get stuck in – I'm predicting I'll be colouring in a lot of this on Christmas Day, during the awkward afternoon period spent lolling lazily on sofas in a post-lunch limbo. I've also installed a new pile on my book dumping ground desk today, between writing blog posts and snuggling with Harv – this pile (on the left, next to my beloved Buddhas and lit up with a G) is one containing exclusively books I've been given or lent recently, and so they are top priority as they must be blogged about or returned soon! Only We Know by Simon Packham. I love the idea of mystery in YA, and so I really look forward to reading this! The First Fifteen Lives of Harry August, by Claire North. My beautiful friend Mel lent me this, plus Invisible Love by Eric-Emmanuel Schmitt. I see that lovely gal again on New Year's Eve this year, so I can only hope I'll have even just one of those books read and ready to return to her...! Finally, not pictured in the pile as it's sitting happily beside my bed, Nimona, by Noelle Stevenson. I take Rainbow Rowell's word as gospel, as you all should too, so when she recommended this awesome graphic novel by the epic illustrator Noelle (who I fell hard for after seeing her artwork for Fangirl) I knew I needed it in my life. Now I am merely a few pages in and already amazed/in love/hooked/all of the above. Some of the other books in this pile have been covered in a previous post, and a couple of them have since been read! I especially loved Lobsters, by Tom Ellen & Lucy Ivison lent to me by the fantabulous Louise. It was totally my style and pace, and I was absorbed into a world I used to live in during my pre-uni days...cannot wait for their next release! Confession time: I have been procrastinating from piecing together a Best Reads of 2015 post...and I'm sorry! It's just so tough, I've had an amazing year where books are concerned. 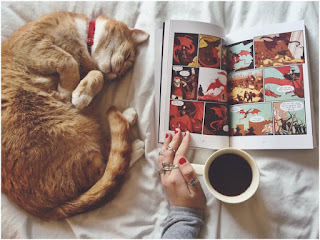 At times immersing myself in a good read has actually saved me from stress and all manner of fears. Anyway, I promise it'll be up soon! Until then, I am constantly arranging my piles of books, snapping photos of my amazing book mail, and staying up reading until 3am. It's a good life! 13 minutes looks so good! I will have to pick it up.